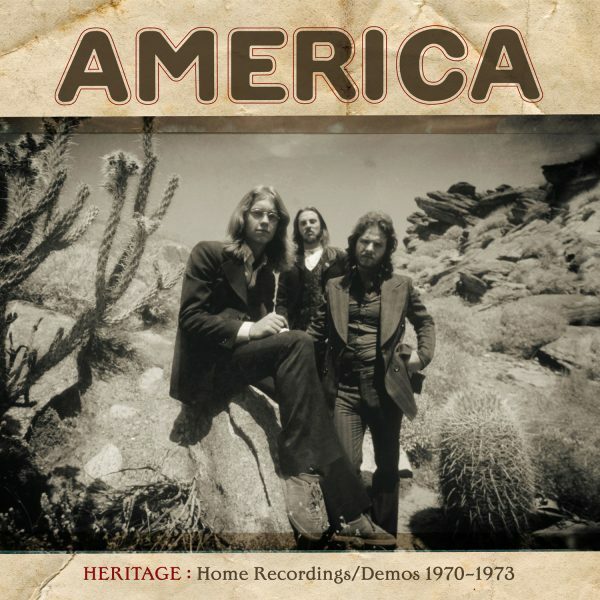 Demos, home recordings & previously unissued songs from the first three America albums! 1967, Dewey Bunnell, Gerry Beckley and Dan Peek met in high school. Sons of U.S. servicemen stationed in England, the three teenagers ultimately formed a band that was inspired by the British Invasion. Soon they began writing their own material, their songs a rich mix of pop, folk and rock, done in the burgeoning acoustic style that would soon achieve popularity worldwide. The group signed to Warner Bros. Records London in 1971 and needed a name… they chose America. Omnivore Recordings, in association with the group’s living founding members Dewey Bunnell and Gerry Beckley, is proud to announce the release of Heritage: Home Recordings/Demos 1970-1973. This release is the most comprehensive collection of known demo recordings and unreleased songs from the band’s early formative years. With ten tracks making their appearance for the very first time, Heritage showcases the hugely successful trio in its most embryonic and intimate form. You will hear early demos recorded before America’s multi-platinum eponymously titled debut album from Chalk Hill Farm Studios outside of London; home recordings and previously unissued songs from Gerry Beckley’s Buzz Studios (his home in West Hollywood during the early ’70s) and an early take of one of the band’s signature songs (“Ventura Highway”) from Record Plant West in Los Angeles. And if you listen closely, you might find a hidden bonus track of the band’s first #1 single from 1972, a cappella! Follow the muse, as the band demos previously unissued songs (“Sea Of Destiny”, “Man Of Pride”) and early versions of America deep cuts (“Riverside” and “Here”). 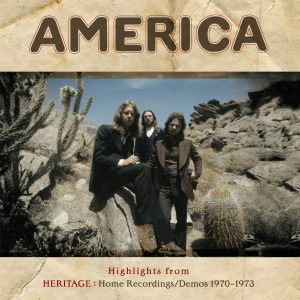 Heritage: Home Recordings/Demos 1970-1973 offers an up close and personal portrait of a band primed for stardom, creating classic songs that would still resonate almost 50 years later!